At the Speedster Reunion in 2005 at Lincoln, Nebraska, the Model T Ford Club of America established its Speedster and Racer Hall of Fame. The purpose of this Hall of Fame is to collect biographical information on current and past individuals who have been involved with Model T Ford speedsters and racers. Born in 1882, in New Castle, IN, Roof became a machinist apprentice at the age of 17 and a member of the Society of Automotive Engineers in 1919. His career spanned five decades, primarily spent designing and producing Speed Equipment. From 1911 to 1949, Roof was granted twelve US Patents; eight were Model T speed items. As the Chief Engineer for Laurel Motors, Roof not only designed the Laurel Speedster, but also the famous Roof Racing Overheads. Roof Type A 16-valve heads owned the dirt tracks in the teens. Followed in 1918 with the Type B Head and soon atter with Type BB. The awesome Type C 16-valve came out in 1923, followed very shortly by 8-valve cross flow heads, both of which became available in overhead cam versions in the mid-twenties. Even the famous Frank Lockhart drove a Type C overhead cam car to victory in Indiana in 1926. R&R Manufacturing was formed in 1925 as a partnership with Myron B Reynolds. By 1929 Roof held sole ownership. 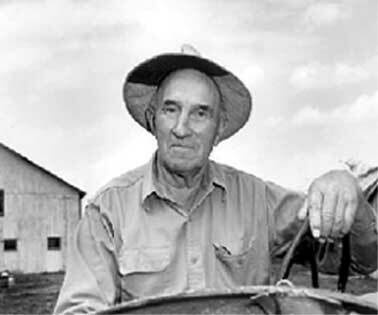 Ken Gross, Flathead Ford V8 Historian, credits Roof with producing the first dual carb intake for the Ford V8. Roof also produced speed equipment for the Model A and V8 Ford, Dodge Fours, Chevrolet Sixes, and was producing racing engines for Flathead V8 and boat racing when he died in 1949. Robert Roof's legacy was his ability to change as racing evolved through his five decades of manufactring racing equipment. There is no doubt he enjoyed his profession. His enthusiasm is expressed by his own comment shortly before his death: "It's a thrilling life. Everything's interesting, and there's something new every day." Noel E. Bullock, born March 31,1899 in Franklin, Nebraska, began his racing career in 1918. He built his own bob-tail racer and immediately started winning races on the dirt tracks of the area. In 1919 his father helped him purchase a Curtis Jenny Biplane and Reed Davis taught him to fly. They formed the North Platte Aircraft Company and performed the aerial programs. In the early 1920s, Bullock, with his Rajo Ford Special, won at least 80 races in the Midwest and in 1922, the "Kid" froom Nebraska beat the best by winning the Pikes Peak Hill Climb in hi own creation. 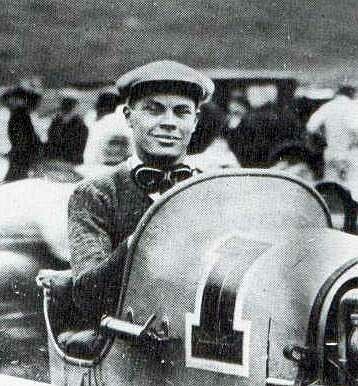 Bullock moved to Los Angeles, California after the 1924 racing season where he formed an automotive parts and machine shop; he continued to race at Banning, Legion Ascot and other California tracks. Bullock was also a firm believer in commercial aviation and had a contract with an air service to fly mail and passengers daily between La Paz, California and Mazatlan, Mexico. On December 22, 1934 the plane he was piloting was forced to make an emergency landing in the ocean. He and six others perished. 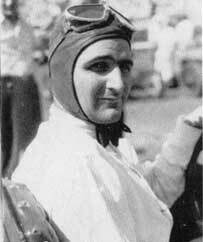 Dean and elder statesmen of Mid-America dirt track auto racing, Leonard Kerbs was born on December 22, 1895, in Otis, KS. The Kerbs Machine Shop provided resources to support a highly successful dirt track racing career starting with an Indian Motorcycle in 1914 and then a bob-tailed flathead Model T Ford in 1915. Kerbs used a Robert Roof 16-valve rocker arm head until 1921 when he, with his machinist John Schober and cousin Benny Kerbs, converted two Craig Hunt heads to Dual Overhead Cam arrangement, and thus made history during the 1921 season with the first DOC Ford engines ever raced. In 1922 "The Kansas Cyclone" switched to Frontenac overhead valve heads and Kerbs made his mark on dirt track racing throughout the Great Plains and Rocky Mountain regions with the Kerbs Specials. Perhaps his finest year was 1923, winning many races on tracks ranging from half-mile to two miles with features from ten to 100 miles long. Many of these races were head-to-head, winner-take-all contests with his loyal friend and fierce competitor Noel Bullock. By 1930, the Kerbs Specials had won about every trophy offered in the Central US. With the birth of his son "Buddy", Kerbs hung up his helmet and became a car builder and owner. The K-1 specials now featured the famous Frontenac 16-valve DOC heads created by Arthur Chevrolet. First Sam Hoffman and then Pat Cunningham drove for Kerbs until 1935 when the Kerbs Specials were sold to Jack Keys of Dallas, TX. Kerbs continued his association with dirt track racing at the famed High Banks Track in Belleville, KS, as flagman and other activities until his death in 1960. Presented in grateful recognition and appreciation to Bill and Joyce Smith for providing the lifestyle pattern for the "American Dream". Their legacy includes five decades of providing the Speed community with the very best in machines and equipment for race cars, street machines, and children's pedal cars. Providing vintage speed parts and antique automobile parts, perhaps most notably the authentic Model T Ford brass windshields, has made Speedway Motors a prominent icon for Speedsters across the country. "Speedy Bill" Smith, a "man on a passionate mission", is singularly dedicated to preserving the rich history of the golden era of American Racing with the Smith Collection Museum. Called the "Holy Grail of Speedsterdom", future generations will be forever grateful for this wonderful "National Treasure". Bill and Joyce have worked for over fifty years putting together this magnificant collection; and folks, "they're not done yet." 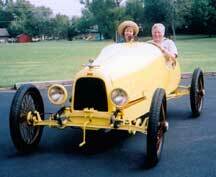 The Model T Ford Club of America initiates their Speedster and Race Hall of Fame program on August 1, 2005. We take great pride in presenting this very first Inaugural Hall of Fame Membership to Bill and Joyce Smith. Born 50 years too late, Ed and Karen have a romantic infatuation for the Model T Ford, Speedsters, Race Cars, and this golden era in general. In 1961, at the early age of 21, Ed and Karen built their first Model T Ford Racer, driving it all over California and Nevada until acquiring the car of their dreams; an original 1915 Ford race car with a barely visible #4 on the remains of the hood. 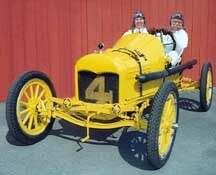 With the help of old-time Model T racing expert Vic Sala, the restoration of old #4 was completed in 1968. 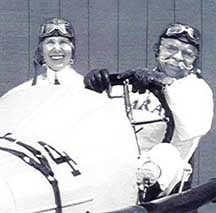 Ed says it best, "There is joy and excitement in the challenge of restoring or building a machine that not only performs well, with Karen and me in the cockpit dressed in the appropriate attire, but completes each run successfully. I sincerely believe that we are blessed as the temporary caretakers of a piece of history and that cars should be equipped with components of the era they represent." With Ed and Karen on board, Old #4 has competed in many hill climbs and cross country drives such as their famous drive across the Great American Desert in 1974 to "Destination Dearborn" MTFCA National Tour. Old #4 has competed on oval dirt and paved races, closed circuit races, endurance runs, autocrosses, drag races, and Concours de elegance. Ed once drove a T racer in the Baja 1000, and a T touring car in the infamous Dodge/Ford and Chevrolet/Ford races from San Francisco to Reno. Longing for an event dedicated strictly to his passion, Ed was the prime initiator of the Santa Clara Valley Model T Ford Club 200 mile Endurance Run and Lowland Tour in 1970, which has played host to the largest gathering of 1927 and older Speedsters and race cars in the world! Ed Also founded the Calistoga Classics dirt track races. Ed is past National President of the Model T Ford Club of America. Howard and Dorlyne Genrich have been international ambassadors of good will and spokespersons carrying the Speedster and Racer message for more than 30 years. "Humble" Howard's Lucky 7 Speedster, is perhaps the most recognizable fast Ford on the planet. 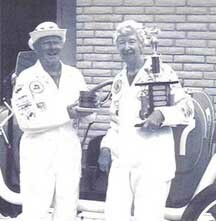 Howard says, "After being installed as president of the Long Beach Model T Club in the fall of 1971, my 12 year old son explained that I needed a Speedster to race in our annual Shell Hill Climb. This would help save the center door for its correct role as a car for all seasons instead of racing. Hence, the "Year of the Speedster" was born. Several of us were competing to meet this 3rd weekend in May event. My construction almost became a club function especially when a person, unknown to me but knowing of my state wide search for the rare eight spoke metal wheels, came forward with the location of what became a set of these unknown wheels. Twenty-one years went by before the identity of the manufacturer was known. Now the stage was set for me to attend the Endurance Runs, not only Ed Archer's but the others that were cloned". On the national tours and other functions this car became something of a darling. The trick muffler/exhaust is of my design. As a Speedster, it is an expression of my ability. I was pleased to have strangers explain that they hadn't thought to build a Speedster until they witnessed how much fun I was always having with this magical machine. Yes, a Speedster is a 'work in progress' and a constant source of happiness and pride." A well-known 1930's northern California Racecar driver and mechanic, Vic won several first place finishes in the Long Beach Hill Climbs in the 1960's and 1970's. Vic drove the early Santa Clara Valley Endurance Runs in his Mercury speedster (restored by Vic in the 1950's and now resides in the Smith Collection Museum). Later Vic restored another Model T Ford Speedster and continued to run in the Santa Clara Valley event. Vic drove the Calistoga Classic dirt track races in the early and mid-1970's and in the late 1970's through the 1990's, drove in many vintage oval track races in the south-east and mid-west. Next came the restoration of an American Body Company Speedster loaded with original teens accessories, then a sporty Ames Cloverleaf Ford, followed by a one-man Racer found on Mission Street in San Francisco. Vic next built up a few more Speedsters from parts; then acquired an authentic Paco staggered seated Speedster from Chuck Davis; a close friend from the mid-west who caught the fever from Vic, and specialized in Miller Racers. Vic's Paco also now resides in the Smith Collection Museum. 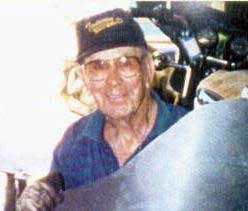 Vic is today (2005) 91 years young and is building yet another Model T Ford Speedster for a good friend. Vic says this will be his last, but we're not convinced. Vic says, "If I finish this car, I will have restored a total of 16 cars; two Model A's; one Racer, one Sportster, and 14 Model T Speedsters, all different in looks and body styles. I have rebuilt about 10 complete Racing engines. The Paco and the Cloverleaf were rusted and bent and I made them complete Speedsters and Racers that could be driven out of my garage." 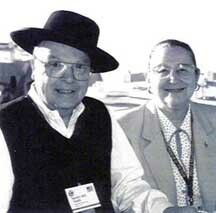 Larry Sigworth has owned Model T Ford Speedsters and promoted the Speedster Hobby for over 36 years. He began collecting speed parts and literature about 1970. Finally, in 1991, he completed the historically accurate restoration of his beautiful 1922 Paco bodied, Frontenac-powered Speedster. He is nearing completion on a very rare, first year production, 1915 Paco bodied, Roof powered Speedster noted for its unique cowl side air scoops. Larry has original history on both cars, particularly the 1915. Larry is a premier Speedster historian. After conducting over 25 years of research; he has nearly completed a magnificent 600 page unpublished book on Model T Ford Speedsters. Excerpts from this outstanding effort have been published primarily in the Vintage Ford and Secrets of Speed magazines and are partially available on CD. Larry kindly and generously shares his materials and knowledge to all who ask. Larry served as Program Director at the 2005 Speedster Reunion generously providing materials for most of the event presentations. Larry was heavily involved in the five year Tulsa Chapter Cam Project that resulted in the now universally accepted standard, "Stipe Cams". Larry donated and ran the computer simulation software used in the project. Larry has also participated in the Tulsa Hill Climb, the 1995 MTFCI Kansas City Speedster Meet, the Best Cars in Oklahoma Car Shows, and numerous other regional and local events. Larry's wife Bobbi has amazingly tolerated his passion for speedsters and has supported his efforts. 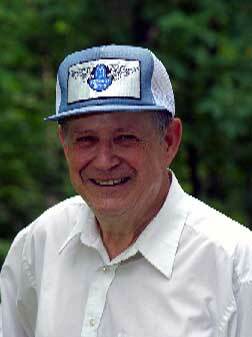 Universally honored and acclaimed, Bruce McCalley is the godfather of the Model T Ford world. An eloquent spokesman and writer, Bruce was the primary co-founder of the Model T Ford Club of America and founding editor of the Vintage Ford magazine. Retiring as editor in 1990, Bruce continues to this day, serving as editor emeritus, honorary director and Web site coordinator. Bruce authored and published the first substantive information on the authentic Model T Ford starting with a series of Model year articles, later authoring a series of books on the Model T Ford, each evolving with more & better content, eventually culminating with the universally recognized Model T Ford "bible," Model T Ford, The Car that Changed the World. Less well known perhaps, were Bruce's contributions to the Model T Ford speedster and racer hobby. From the beginning, Bruce published articles in the Vintage Ford magazine dealing with speedsters and racers including coverage of the Shell Hill climbs in California, the Chandler Park hill climbs in Oklahoma, the Montana 500, other hill climbs, endurance runs, individual restorations, authentic racing equipment, eventually dedicating primary coverage of an annual issue to speedsters and racers. Prior to Bruce's efforts in the Vintage Ford, the passage of time had all but erased knowledge of that period of intense activity of the Model T Ford speedster and racer. We believe coverage provided by Bruce in the Vintage Ford magazine served to "kick-start" this most interesting and historically significant segment of the Model T Ford hobby. We shall be forever grateful. Born in Vienna, Austria in 1884. After high school he joined Mercedes as an engineering apprentice, later was a demonstrator and public relations in Stuttgart. 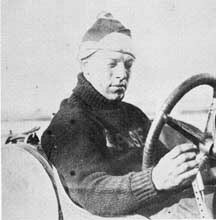 Joe began racing in France in 1897, and after driving several premier races in Europe, he immigrated to the U.S. in 1903. Shown above driving Case number 8 in the 1911 Indy 500; a racing accident ended his brilliant auto and boat racing career later in 1911. The RAJO Manufacturing Company (RAcine, JOe) was formed in 1914 in Racine, Wisconsin.br> Joe's connection to Model Ford Speed began in late 1919 with the introduction of the first RAJO head for Model T Fords. A RAJO Model T Racer was built to promote the new cylinder head; weighing only 950 pounds with an aluminum body, wire wheels and high-tension magneto, the Racer had very successful 1920 and 1921 racing seasons. RAJO overhead design evolved rapidly during the 1920's; an early cross flow won at Pikes Peak in 1922, followed by the mighty B's and BB's, and in the late 1920's a few Dual Overhead Cam heads were produced. Perhaps as many as four thousand RAJO cylinder heads were built for Model T Ford Racers, Speedsters, trucks and Cars. RAJO produced cylinder heads for the Model A Ford and in 1949 produced a cylinder head for the six-cylinder Chevy engine. 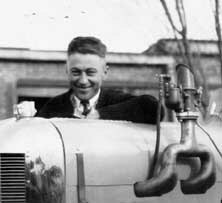 Notable RAJO victories include Gene Schultz's light class win at the 1921 Pikes Peak Hill climb and Noel Bullock's amazing Pikes Peak Championship victory in 1922. An intense racing rivalry between RAJO and the Chevrolet Brother's Frontenac Overheads developed in the 1920's and continued thru 1930's and 1940's. In 1913, Los Angeles was an exciting place to be, especially for Ed Winfield who loved motorcycles and automobiles, and delivered auto parts by bicycle to area dealers and mechanics. Gifted YMCA instructors taught Ed basic mechanics and electricity. Even as a young mechanic at the Flintridge Garage, and later for the Cadillac dealer, all the difficult problems came to Ed. In 1916 Ed went to work for the famous Harry Miller in the Carburetor Department. Ed gained valuable experience working for Miller, but didn't care for Miller's managerial style and moved to Glendale where he designed and sold his own barrel valve racing carburetors and cams. Ed built and raced his first racecar, number 9 in 1921, and later built the number 19 "Kant Skore." By the mid-twenties a Winfield carburetor and racing cam was the hot racing setup. By 1927 Ed was the West Coast Champion and drove number "1". Although Ed's racecar had "Miller" beauty, it was the famed "2up/2down" flathead engine that beat the great overheads of the day. Ed and his brother Bud designed and built fine racing engines and racecars thru the 1960's, including the great Indy Novi engine. Ed held the patents on the first fuel injection induction system. Ed was a master consultant, and considered a genius by many. Ed was the complete package, designer, architect, pattern maker, metallurgist, machinist, research engineer, developer and salesman. After 55 years, Ed quit grinding camshafts in 1969, after finishing his last batch of Meyer Drake Offenhauser cams. Ed Winfield died in 1982 at the age of 80, ending the life of a man whose contributions are etched on the pages of racing history. 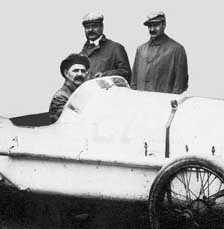 Louis, Arthur and Gaston, were exceptionally talented Racecar designers, builders and drivers. Louis led the way; born in Switzerland in 1878, moved to France in 1886, entered the US in 1901, later followed by brothers Arthur and Gaston. Louis' achievements are legendary; became famous overnight in 1905 by beating Barney Oldfield; went Buick racing in 1908 and designed and built the first Chevrolet in 1913. That Louis was a superb Race Car driver was demonstrated by his expert preparation and handling of the Cornelian in the 1915 Indy 500. The Brothers started the Frontenac Motor Corporation in 1913 and won many races in the late teens and eventually culminating in the winning the Indy 500 in 1920 and 1921. Gaston was the winning driver in the 1920 Indy 500 but died later in the year while racing the board tracks. The famous Fronty-Fords were introduced in 1921 starting with the rocker-arm, cross flow Overheads, Models R (Racing), S (Speedster) and T (Truck). These heads were immediately popular and were known for their durability. The twin port Fronty Model SR, introduced in 1922, was immediately victorious both at Indy and on the dirt tracks. The year 1923 marked the introduction of the most famous Fronty-Ford of them all; the legendary Sixteen valve Dual Overhead Cam. Fronty's were at Indy in 1922, 1923 and 1924 and other years. Arthur Chevrolet designed the last of the Fronty Fords in 1930 with the famous Model A "Stagger valve". Fronty's were a common sight on the dirt tracks in the Thirties and Forties and today are highly prized collector items. Frank Kulick was one of the five original employees of the Ford Motor Company and was Ford's number one factory racing driver for a decade beginning in 1904. His first race car engine was two Model A two cylinder engines bolted together to form a flat four that pumped out 20 HP. Named the "Baby Limited" she weighed only 881 pounds, allowing Frank to prove to all doubters the advantages of a favorable power-to-weight ratio. At Empire City Frank was the first to navigate a one-mile dirt track in less than one minute and wound up the 5 mile record in the process. Frank drove Model T Ford number one in the New York to Seattle transcontinental race of 1909. On the return trip Model T Fords number one and two were the first motorcars to cross Death Valley. Frank won many races in the 1910 to 1913 era driving special Model T Fords including victories at Brighton Beach, New Orleans and the Algonquin Hill Climb. In 1911, driving a stripped and reworked Model T, Frank Kulick beat Bob Burman's Blitzen Benz in a one-mile oval speed record run (50 sec. flat) at Detroit Fairgrounds. But when Henry Ford attempted to enter Kulick and the "Super Ford" in the 1913 Indianapolis 500 he was told 1000 pounds would need to be added to qualify, Kulick recalled, "Old Hank told 'em 'We're building race cars, not trucks.'" 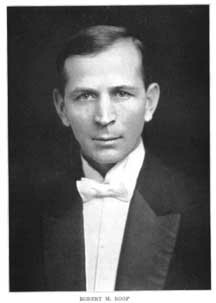 Kulick was a Ford Motor Company executive, involved in both the ten million and the fifteen million Model T activities. In 1924 Frank drove Model T number ten million on a cross-county publicity tour ending up in Hollywood, and was involved in a number stamping ceremony for Model T number fifteen million. Fred and Lavina’s lifetime Model T adventure began in the summer of 1953 with a $25 1926 T Ford Runabout. In 1971, inspired by Wayne Atkinson’s Fronty Speedster at the Denver National Tour, Fred began the study and restoration of Model T Speedsters that continues to this day. Their first Speedster began with the crafting of an all steel body using photos and prints of the early Ames Lotus Speedster model 828. The car had a Model R Fronty head, Bosch front plate, Winfield carb, AC brakes and Stewart wire wheels. Fred and Lavina have driven this always reliable Ames thousands of miles in the 36 years since. In 1973, they were the prime movers in starting the Model T Ford Club of Tulsa, noted for the annual Chandler Park Hill Climbs and a website featuring technical information and Speedster tips. Fred served as President in 1981 and later as Director of the MTFCA. 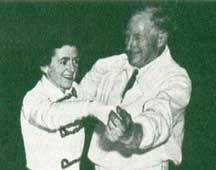 In 1982 Fred and Lavina together received the coveted Rosenthal Award. Fred has contributed many technical articles to the Vintage Ford including articles on race drivers Noel Bullock and Leonard Kerbs, and is active in producing the MTFCA Video Tapes, with many of the topics coming from his shop "The Model T Garage". He was the primary author of the MTFCA Transmission Manual and has served on several technical research projects, including the cam project resulting in the manufacture of the widely accepted Stipe Cams, plus the latest version of the transmission alignment project recently added to the Tulsa website. Fred is nearing completion of a very correct 1917 Roof/Laurel Speedster with a Roof Type A head and an original body acquired from Jarvis Erickson around 1990. Fred is the founding director of the MTFCA Speedster and Racer Hall of Fame, currently housed in "Speedy Bill" Smith’s Museum of American Speed in Lincoln Nebraska. 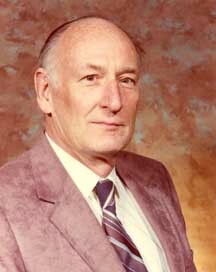 Jarvis Erickson was born in Seattle in 1935 and grew up in the Echo Lake area just a few miles north of Seattle with Grandma Minnie Butzke. By 1950 Jarvis was a junior at Seattle Lincoln High, when a school-mate took him to see his first Model T Ford and the dad showed him a photo of a Speedster he once owned. Jarvis was hooked! Jarvis harvested many of his early Model T’s and parts from the many small farms just north of Seattle to the Canadian border. Over the years Jarvis traveled all over the US collecting Model T Speed equipment and "fast paper" (speed documentation of all forms, books, photos, advertising flyers, etc. ), and now owns the world’s largest collection. Jarvis has owned most of the Model T overhead valve conversions and from these materials, has written many articles for Vintage Ford, Secrets of Speed, F.A.S.T., and others, including a series of articles documenting most of the Model T Ford overhead valve units with directional views of each. It was 1957 when Jarvis first saw a Mercury Speedster photo, and Mercurys would dominate Jarvis’ life from that day forward. Today Jarvis is busy restoring 4 of the 5 Mercury Speedsters he has owned, each a different body style based on year of manufacture. Very special is a rare Mercury body for a Chevrolet chassis, but Jarvis' pride and joy is the replication of Frank Gegoux’s famous 1923 cross-country "Desert Pal." Jarvis has the world’s largest collection of Mercury documents and photos and is nearing completion of a "Mercury" book over 200 pages in length with about 4 chapters to go. Other highlights include the National Speedster meets, 1993 in Kansas City and 2005 in Lincoln, Nebraska and the Mercury Club meets under the old grandstands in Hershey, Pennsylvania. Murray Fahnestock served as the Technical Editor and contributing Editor-in-Chief to the number one trade journal for Ford owners, dealers and mechanics from 1914 to 1955. During the Model T Era, the name of this periodical changed from time to time as its focus changed. It was originally known as the FordOwner. Next, it became the Ford Owner and Dealer, then the Ford Dealer and Owner, and finally the Ford Dealer and Service Field. Throughout the Model T Era, Murray published dozens of articles relating to building Model T speedsters. Murray's wife Hazel provided the line drawings that accompanied many of Murray's articles. These articles covered everything from speedster body building to installing a supercharger, and were the primary means by which Model T owners and mechanics learned how to build speedsters. Fortunately, these articles have been preserved, and are still the primary source of speedster building information for modern speedster builders. 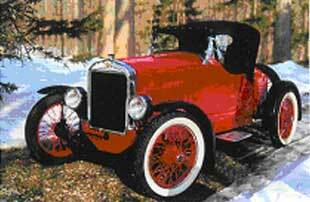 Thus there is little doubt Murray Fahnestock is the "Godfather of the Model T Ford Speedster hobby." In the 1950s, Dan Post published several books containing primarily Murray's technical writings plus advertisements from the Ford owner periodicals. These books include The Fast Ford Handbook, The Model T Ford in Speed and Sport and FordOwner. From the Fast Ford Handbook: "Across the land the young at heart were conceiving, building and driving a breed of off-hand automobile based on the spidery underside of the Model T Ford. Practically infinite variety characterized the species, for each was the physical manifestation of its creator's grand and immensely personal dream." J. R. Craig and William L. Hunt formed Craig-Hunt Inc. about 1916 in Indianapolis, Indiana. Little is known about Craig, but Bill Hunt was a successful race driver during the teens and twenties. It seems that Bill's primary interest was to sell just enough racing equipment to finance his own racing activities. About 1917, Craig-Hunt sold a 16-valve single overhead cam Ford racing head nearly identical to that of the 1912 Peugeot (DOHC) Grand Prix racing engine. Crude in the beginning, later versions of the Craig-Hunt head used an enclosed bevel gear and shaft setup to drive the cam, and a cross flow design with four ports on each side with two plugs per cylinder. By 1918, Craig-Hunt was selling a complete line of racing equipment including underslung brackets, wheels and engine parts, and the famous torpedo tail "Speedway" body modeled after the Peugeot racers. Variations of this body became the dominant design used on racecars throughout the 1920's, '30s and '40s. In 1920, Craig-Hunt Inc. reorganized and became Speedway Engineering, coining a new slogan, "Making the Ford Fleet-Footed", and introducing an 8-valve Ford rocker arm head designed for Speedster use. They also introduced a light-weight aluminum cylinder block for racing, weighing only 42 lbs without the sleeves. By 1923, national advertising had stopped and in 1925 the business was purchased by Carl Rogers, a race driver and local Green Engineering dealer. Although Craig-Hunt and succeeding companies were never hugely successful, their products were successful on the racetrack. The story goes that a 16-valve Craig-Hunt racer #5, owned by J.P. "Pappy" Stewart and driven by Bill Melaun, won 74 first places out of 86 starts during 1920 in Texas and Oklahoma. This Racer was one of a three-car team entered in the 1924 Indy 500 by a downtown Indianapolis Ford Dealer, Barber-Warnock. Louis and Arthur Chevrolet were hired to manage car construction while the cars were built by dealership mechanics. On race day the Chevrolet Brothers performed as team managers and the mechanics formed the pit crews. It would be Barber-Warnock's second to last 500 effort. The three cars, numbered 26, 27, and 28, were assembled primarily of Ford production parts (75% indicated) plus Frontenac race parts produced by the Chevrolet Manufacturing Company, also from Indianapolis. Fred Harder, a Texas dirt racer, drove #27, with Bill Hunt in #26 and Alfred Moss, father of famous British racer, Sterling Moss, operating #28. All three qualified at similar mid-80 speeds, which translated to 75 mph in the corners and 95 mph on the straights. This was outstanding for basic Ford hardware shared with 15 million other Model T automobiles. All three proved reliable, completing the race, although none achieved the spectacular 5th place finish of the single 1923 BarberWarnock entry. The highest finish of the 1924 cars was 14th. Race car number 27 has been restored by Tom Butterworth and Rick Linder of suburban Detroit. The photo of restored Race Car number 27 in the Indianapolis Speedway's Pit Lane was provided by Tom Butterworth. Rescued from a Long Beach back yard in the late 1950s, Racer number 4 was brought to northern California to wait 10 years for caretakers Ed and Karen Archer to discover and fall in love with her. It took about a year, but with the help of Vic Sala, Old number 4 breathed fire again in 1968, and has since roared to a modern record likely more illustrious and diverse than any previously experienced; events such as; Endurance Runs, Hill climbs, Autocross, 1/4, 1/2, 3/4, 1, mile oval tracks, 2-1/4 and 1-3/4 mile closed circuit tracks, 2 visitor laps at speed at the Indy 500, many tours and driving events, several times driving over 5000 miles round trip to attend a 300 or 400 mile tour. The few changes made since were always in pursuit of era correctness. Retaining original livery colors of yellow with black trim, powered by the awesome Rajo Model B Overhead, dual Juhasz 1-5/8" barrel valve carburetors, splash lubrication plus a small oil tank mounted under the right side fed by hand pump with dash sight feed, fuel pressure by right mounted hand pump for access by riding mechanic, Colombo cross-drive with Bosch magneto ignition, thermo-siphon cooling assisted by belt driven water pump, "dog bone" radiator cap with Boyce Motometer, link chain driven Stewart 120 MPH speedometer and 3000 RPM tach, 30 x 3 1/2 Perlman clincher rim artillery wheels, Muncie 3 speed plus Ruckstell 2 speed axle, suicide front axle with special lowered center to clear hand crank, frame mount radius rods both front and rear, "Z" drop rear with Master external brakes. She's an awesome machine correctly representing the ultimate Ford Racer of the mid-teens. Excitement was running high in 1974 Lincoln, Nebraska when Bobbi and Larry Sigworth examined the remains of an old race car with staggered seating for a riding mechanic. It would take several years of research to determine this car was the only original late-style Model 21 PACO extant. It had a suicide front end lowered 5 inches with split wishbones and de-arched rear spring. The crankshaft had Dunn counterweights and was drilled for full pressure oiling. A Green Engineering oil pump was driven off the rear of the camshaft. Larry used most of these parts, but proceeded to warm things up a bit by adding the famed Chevy Brothers Frontenac Model R head with a 1-1/4-inch Zenith carburetor and a Bosch 513 front plate distributor. Inside the engine were aluminum pistons with lightened and polished rods, magnets removed, flywheel lightened, and the transmission shaft drilled for pressure oil. Now restored, the car sports a set of early style large hub 30 X 3 ½ Pasco wire wheels, Hartford friction shocks, AC Heavy Duty external brakes and an early Ruckstell Two-Speed with a Hi-Speed 3 to 1 ring gear & pinion. PACO Manufacturing often provided the radiator grill shell in the style selected by the customer; Larry and Bobbi selected the popular Fiat-styled grill shell and matching hood, which Larry produced using an Overland radiator and shell shortened 5 inches. The speedster is painted a brilliant Stutz yellow with contrasting diamond tufted tan leatherette upholstery to match the brown Pasco wire wheels. Although the basic restoration of the PACO was completed in 1990, Larry has just begun restoration on the top and windshield, made possible by the recent find of an original photo showing the long-missing details. In 1952, when he was 15, Joe bought a Model T coupe equipped with a milled head, sodium filled valves, and dual carburetors. He still has this car. During his senior year in high school in 1956, Joe learned about all the important stuff old speedsters and speed equipment. He saw a picture of a Mercury bodied speedster built by the Mercury Body Corp. in Louisville, KY from 1921 thru 1926 in one of Dan Post’s articles. It was love at first sight. Since then Joe has dedicated his life to researching, collecting, restoring, and preserving the Mercury speedster body. Over the years, Joe has collected many pieces original Mercury literature, as well as six Mercury speedster bodies. He has since sold four bodies but he still has two with all the special original Mercury equipment. Joe is one of the hobby’s greatest authorities on Mercury speedsters. He has used that knowledge and skill to complete the 30-year restoration of his 1921 and 1926 Mercury speedsters. 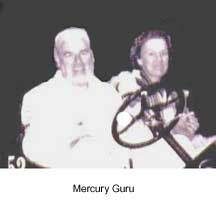 In addition, he has helped many other Mercury owners by supplying information as well as many original and reproduction parts. Some of the parts Joe has reproduced include the gas cap, 3 piece windshield, oval deck lid, floor board foot rest, door vents, top supports, radiator supports, large step plates, and small step plates. Joe also owns an original unrestored Model T dirt track racer known as the Babs Special. It was built, owned and raced by Stanley Babinsky on the East Coast, and features a DO Fronty engine with all the goodies. Although Chris Egsgaard made his living working in the movie industry, his passion was the Model T speedster. 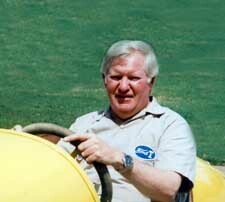 Chris was an extraordinary collector of racecars and Model T speed equipment. He seemed to know where all the good stuff was, and was able to buy it. He had a large collection that included several Ed Winfield designed and modified engines including a Rajo OHV engine with a Winfield roller tappet camshaft, and the famous 1927 ‘two up and two down’ racing engine. He often participated in the Shell Hill Climb in Long Beach, CA. Chris built the famous “King of the Hill” crown from a Model T low band with various T parts welded to it. One of his main goals in life was to win that crown. 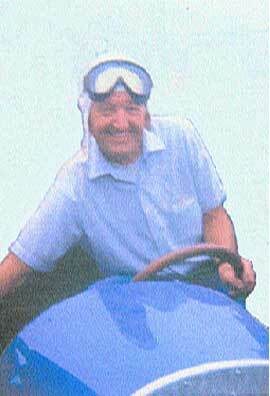 He spent many hours building unlimited class hill climb cars, and finally won the crown in his blue aluminum replica of a Faultless speedster. He contributed at least three excellent articles to the Vintage Ford magazine covering Winfield carburetors, the Winfield ‘two up and two down’ engine, and Rajo/Gallivan DOHC heads. Chris had the reputation of being a “character”. He sometimes dressed in a beard, long hair, and old coveralls, and called himself “Billy Poobah”. Once at the hill climb he and his bright red haired ‘traveling companion’ drove down Shell Hill in his TT truck with the Fronty Ford racecar loaded on the back. Of course, coming down the hill made a complete shambles of the racing activities much to the delight of the spectators. Billy with his truck and racecar also appeared on the cover of the Vintage Ford magazine. Frank Funk was never behind the wheel of a racecar. He never worked in the garages or served as an owner. Yet, Frank was one of the finest sprint track promoters in the history of American auto racing. His impact on the sport will always be remembered. In 1916, on the family farm near Winchester, Indiana, Frank began to build an amusement park and a half-mile dirt oval speedway. With some help from such racing notables as Robert Roof, Bill Hunt, and Gaston Chevrolet, Frank learned what it took to make the speedway a success. It evolved until it became the world’s fastest half-mile oval. In the early races, dust was a primary concern. 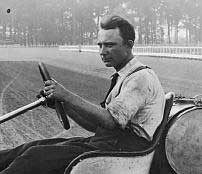 Frank learned that he could oil the track to minimize the dust impact. Frank invested much back into his facilities. His success in promoting racing was based on offering the best competition to the fans while striving for the best course conditions, and purse sizes for the drivers. By 1932, the track was paved and the banking had grown to 25 feet high. The grandstands could seat 6,000 spectators, and the grounds could easily accommodate 12,000 to 14,000. Frank eventually either owned or managed six race tracks throughout the Midwest, including Winchester, Jungle Park, and the Dayton Speedway. These tracks attracted such notable drivers as Wilbur Shaw, Howdy Wilcox, Ralph De Palma, Rex Mays, “Wild” Bill Cummings, and a host of others. Frank continued to promote auto racing until his death in 1953. He certainly was a winner. 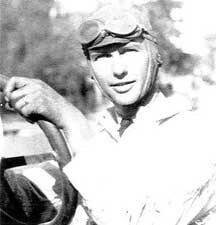 John Gerber was one of the most successful dirt track racecar drivers in the Midwest and Southwest from 1923 through 1937. At one point in 36 starts, he won 28 races, finished second seven times, and suffered one DNF because of tire failure. He was an “independent” who built, owned, and drove his own racecar with very little outside sponsorship. He was one of the most innovative racecar designers and builders of the era. He began his racing career in 1921 with a speedster he built from a 490 Chevrolet. He immediately began winning races with the speedster. For the 1922 season, he discarded the speedster body and converted the speedster into a “bobtailed” dirt track racer. By making continuous improvements, he was able to keep the racer competitive throughout the 1922, 1923, and 1924 racing seasons. During the winter of 1924-25, he built a new racer. Although his new “Bobtail” racer was called a Chevrolet or a Whippet, most of it was Model T Ford. The chassis was Model T, but the engine was a 490 Chevy block mounted on a Model T crankcase and hogshead. The Chevy crankshaft was adapted to a cut down Model T flywheel and planetary transmission. With the new racer, he won many more races from 1925 thru 1932 when the “Bobtail” was retired and a new more modern racecar was built. The exact number of races John won with this car have not been tabulated, but the number is likely to be over one hundred. Just when Elvin Morton and Jack Brett formed the Morton & Brett Company is unknown. There is some pictorial evidence that suggests that the Chevrolet Brothers used Morton & Brett to build the bodies for their 1916 and 1919 Frontenac racecars. It also appears that the Craig-Hunt Company contracted Morton & Brett to build the “Speedway” body for them about 1918. In 1920, they were operating a shop at 811-815 Twenty Third Street, Indianapolis, Indiana. By 1923, Morton & Brett were selling a full line of speed equipment as well as complete road going speedsters and racecars. Their one and two man racecar bodies were runaway sales successes with the racing fraternity throughout the 1920’s and 30’s. 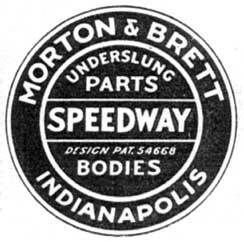 Many other companies sold Morton & Brett bodies under their own brand name. There is little doubt that Morton & Brett dominated the racecar body building business during the Model T era and beyond. About 1925 they introduced the Indianapolis 8 valve, overhead valve cylinder head. It was a cast iron head with four exhaust ports and one intake port on the right side. The intake and exhaust manifold were cast integral with the head. In 1928, they modified this head, and became the first company to market an OHV head for the Model A Ford engine. From the late 1920’s until 1934 Morton & Brett published their “Blue Book” of speed equipment and racecar parts. This catalog was over thirty pages long and filled with everything required to build a competitive Ford based racecar. The Mercury Body Corp. in Louisville, KY built the Mercury speedster body from 1921 thru 1926. Joe Michalek has owned Mercury speedster #1155 for thirty years. His Mercury was built in 1926 shortly before body production ended. It has taken most of those thirty years to find all the special Mercury factory parts that were included with the body and complete the restoration. These original special parts include: splash aprons, Mercury radiator shell with Fedders core, the factory dropped axle with the word Mercury embossed on it, special rear frame kick up channels, a 5-piece hood with 13 louvers on each side, a footrest, a spare wheel carrier with special wing nut, cowl vents, large and small step plates, special gas cap, and barrel shape headlamps. Also included is the optional special three-piece windshield, top bows, a canvas top with an oval beveled rear window, and motorcycle type fenders. The car uses a 1926 chassis and engine. Very rare 21-inch Ash wire wheels and lock rings are also used. The engine features a C-35 Rajo cylinder head with a Zenith HP5A side draft carburetor. A Bosch front plate distributor provides ignition. The engine has been balanced and the magnets have been removed from the flywheel. The drive train includes an aluminum Warford transmission and 3 to 1 gears in the rear end. Joe’s Mercury is painted bright red with a black top, black cycle fenders, red wheels, and white wall tires. The car was entered in car shows in Akron and Canton, Ohio in 2007, and received a best in class award at both shows.